Typically, a full wrap covers all the painted surfaces of the vehicle excluding the roof on most larger vehicles where it is not visible from the ground. Anything less than a full wrap is normally called a "partial wrap." A half wrap normally includes the entire rear, halfway up the sides of vehicle, and a hood logo. A three-quarter wrap normally includes the entire rear, the sides of the vehicle up to the front of the doors, and a hood logo. 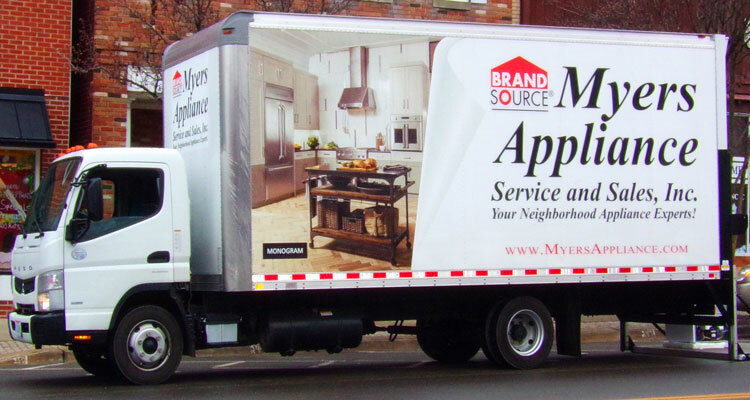 It has become a universally accepted fact that car and truck wraps offer the best “return on investment” with the highest market penetration and viewer recall possible in all of advertising. A recent study shows that 91% of people notice words and graphics when displayed on trucks, cars, and vans. You may already be aware that vehicle wraps advertising ranks highest among the many types of outdoor advertising mediums available. 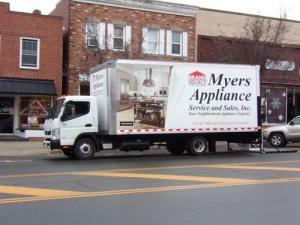 Why not start promoting your business, services, or products by branding your fleet vehicles today? Did you know that vehicles in an average city are seen by 14 million sets of eyes each year? 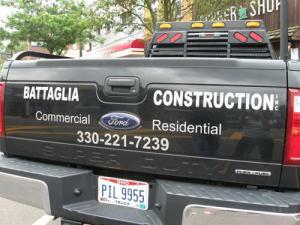 Vehicle wraps get signage into places that are normally off limits. You can park a wrapped vehicle just about anywhere and get a ton of advertising. With a fleet wrap, car wrap, or truck wrap, you’ll have more marketing exposure than with one costly billboard. As far as the visual impressions and name recognition go, 3M a vinyl manufacturer has shown a company would have to spend $130,000 in advertising dollars to get the same visual effect as one vehicle wrap. The American Trucking Association states that a wrapped vehicle can garner between 30,000 to 70,000 visual impressions per day and if you have three fleet or franchise vehicle wraps, you can do the math here! Consider vehicle wrap advertising as they become a 24/7 moving billboard advertisement announcing your business, products, and services helping to build brand recognition and identity. 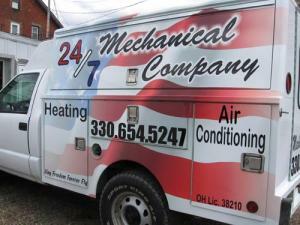 Print and Sign Express can create, print, and install your vehicle wrap using the latest technology. 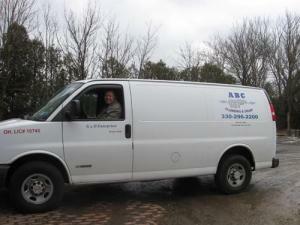 We utilize two 65 inch environmentally friendly eco-solvent printers to produce your vehicle graphics and wraps. 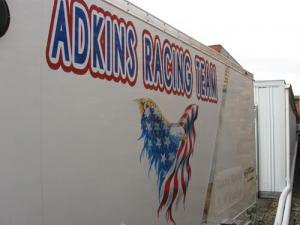 More importantly our install team has over 38 years of combined experience installing vehicle wraps and vinyl graphics. Our wraps and graphics are printed on industry leading products including Avery, Oracal, and 3M. All of our printed wraps are laminated with high quality gloss laminate to ensure a long lasting marketing campaign. Vehicle wraps used for fleets, cars, trucks, buses, and trailers are durable and will typically last 5-7 years and can be removed. 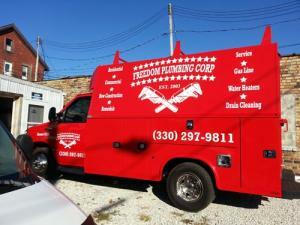 Vehicle wraps and graphics actually protect the paint surface from chips, fading, and peeling. Who said installing vehicle wraps and graphics was easy? We once heard a client say “can you guys just run over today and put those big stickers on”? Professionally wrapping a vehicle is much more than installing stickers or decals in fact it is the most important part of the process. Print and Sign Express has a very experienced install team with over 38 years in the industry. 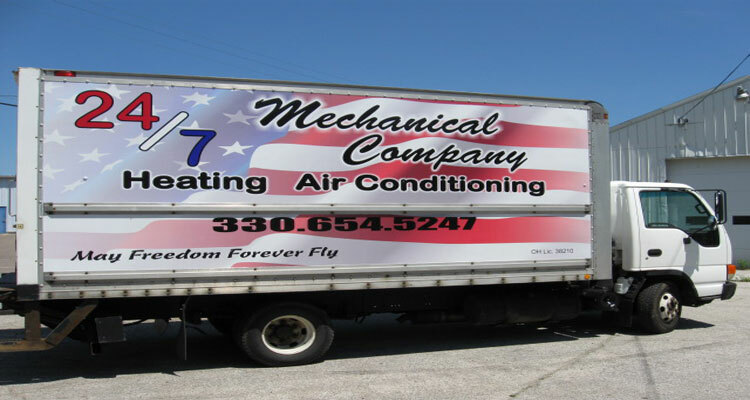 Our installation specialists have installed wraps and graphics on a wide variety of vehicles including trucks, buses, cars, vans, trailers and more. 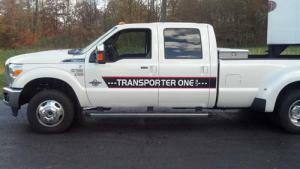 When installing wraps and vinyl graphics on trucks, cars, trailers, buses, and boats many different techniques are used to ensure your vehicle graphics look great for many years. 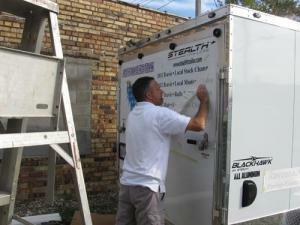 Before installation of your vehicle wraps and graphics the vehicle surface is prepped to ensure proper adhesion. Our install specialist can handle the demands of rivets, deep channels, and complex curves ensuring your wrap and graphics do not lift or peel. 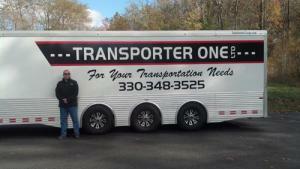 Our team is equipped and ready to travel for onsite installs of your fleet graphics and wraps. 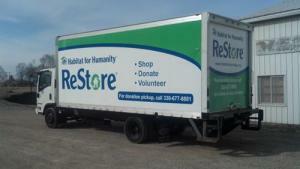 Print and Sign Express also offers removal service of old vehicle wraps and vinyl graphics. Cost varies from vehicle to vehicle. There are several things to consider: design time, materials , print, and installation. The size of the vehicle to be wrapped and the type of vehicle also play a part in cost. In general, vehicles with compound curves and channels, such as a Sprinter Van or PT Cruiser, are more difficult and more expensive to wrap than a vehicle with more angular contours. Partial wraps are a great way to minimize cost as opposed to a full wrap. Cast (High performance) vinyl is more expensive then Calendared (Intermediate) vinyl but lasts longer, so be sure to ask for details. 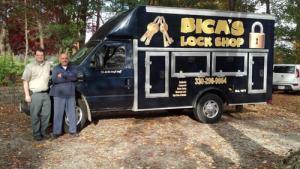 If you are using a vehicle wrap there is no more cost-effective advertising method available. It has been proven that the cost per impression of vehicle wraps is far less than other forms of advertising such as billboards, television, radio and direct mail. If you are using your vehicle wrap to improve the appearance of your vehicle, digitally printed vehicle wraps simply can not be duplicated by more traditional methods like paint or airbrushing. You can see through window graphics that are printed on perforated window material. This material is perforated with very small holes that allow you to see out. From inside the vehicle, visibility is similar. For safety reasons the front windshield and the front driver and passenger windows cannot have vinyl graphics. Normally the rear window and the rear passenger windows on both sides can be covered with perforated window film. Call Print and Sign Express for your next vehicle wrap, car wrap, bus wrap, trailer wrap, truck wrap, or any vehicle graphics project. 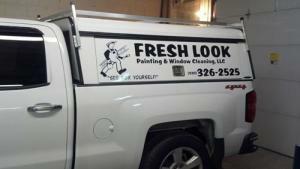 We would be glad to assist you with your next wrap or vinyl graphics application. 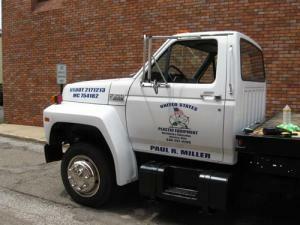 Please give us a call at 330.296.0123 or email us here. Print & Sign Express can handle all of your specialty cut vinyl needs. 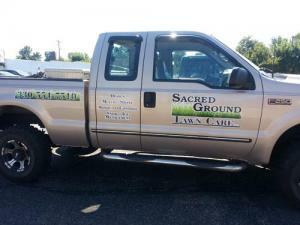 Vinyl lettering for company vehicle and fleet graphics. Large format full color decals and stickers, trade show displays, trucks, car, boat, trailer, and vehicle wraps. 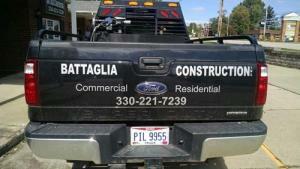 We can supply you with ready to apply vinyl letters, full color decals and stickers or install them for you. 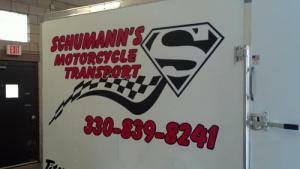 Vinyl lettering is great for storefronts, boats, trucks, cars, trailers, wall graphics, signage and much more. 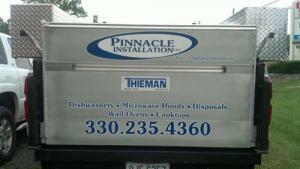 We can handle all of your fleet vehicle wrap and vinyl graphic needs. Our state of the art equipment produces beautiful full color decals and stickers for trucks, cars, boats, trailers, and vehicle wraps. Vinyl lettering, decals, and stickers can be applied on, cars,, trucks, boats, trailers, storefront windows, race cars, motorcycles and much more. We can use your ready to print custom artwork or you may choose to work with our design team. We utilize two 65 inch solvent printers and a 65 inch vinyl cutter to produce your custom vinyl lettering, decals, stickers, window graphics, tradeshow displays, banners, window film, fleet graphics and more onsite. Producing decals, lettering, and display graphics onsite means very fast turnaround and great attention to detail. 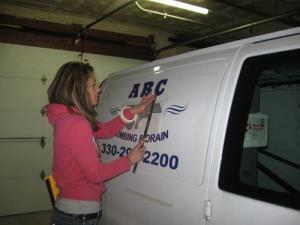 Need help with installing your vinyl lettering or full color vehicle graphics? 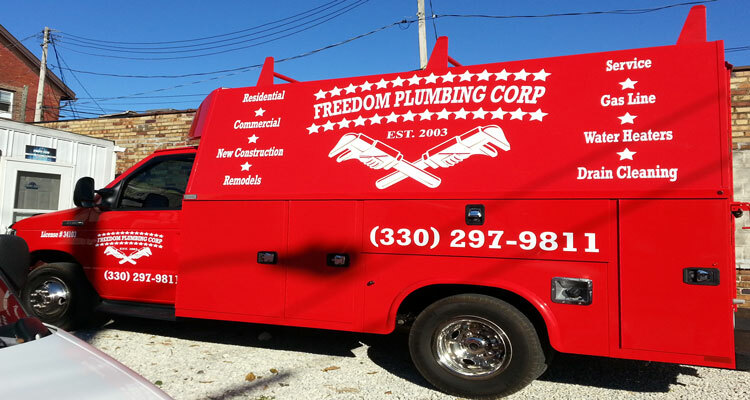 No problem, our install team has over 35 years of combined experience installing vehicle wraps, vinyl lettering, and full color fleet graphics.